Miles Redd | Adventures In Styleland! Even if you don’t know the name, chances are you’ll have at some point seen de Gournay’s fabulous wallpapers. 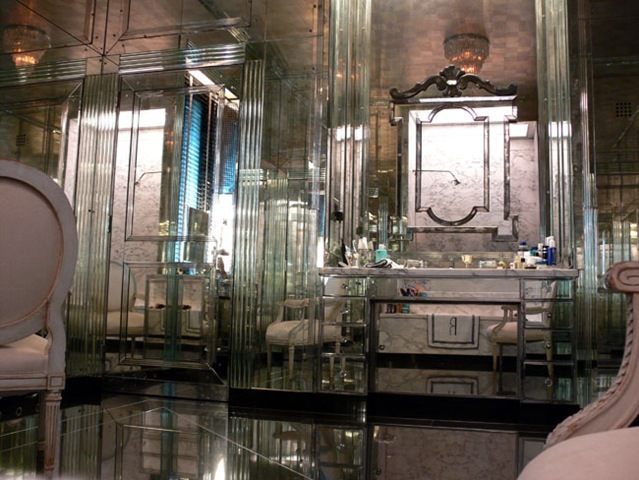 Perhaps it was a striking backdrop in some glossy fashion shoot, in the luxury penthouses of some of the worlds most high-end hotels. Since it’s founding back in 1986, De Gournay’s exquisite wallpapers have been hand painted in Wuxi, Jiangsu Province. The company specializes in creating wallpapers inspired by 18th century Chinoiserie, all adhering to traditional methods. Literally meaning ‘Chinese-esque’, the style was popular in Europe and was a true fusion of East and West: designers would create their own interpretations of Chinese compositions, and stately homes, palaces and castles across Europe would invariably have at least one room entirely decked out with Chinese mirrors, lacquer furniture, and, of course, wallpaper. The hand painted papers of de Gournay stand at the pinnacle of interior design. Although an investment, a room done in de Gournay certainly does not need artwork or much embellishment. The London-based firm De Gournay specializes in 18th- and 19th-century chinoiserie and neoclassical French designs. The Papiers Peints Panoramiques are particularly remarkable. These are made of block-printed sheets with panoramic landscapes and historical and mythical scenes meant to re-create the spectacle in a wraparound fashion. Some designs are more than 200 years old. Prices vary widely. $ By appointment only. At 143 W. 29th St., New York; 212-564-9750; www.degournay.com. How decadent! 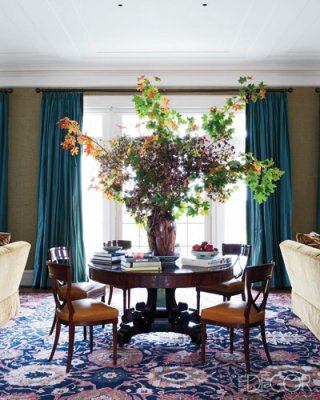 If money were no object, I would love to swathe my dining room in a beautiful Chinoiserie de Gournay design. 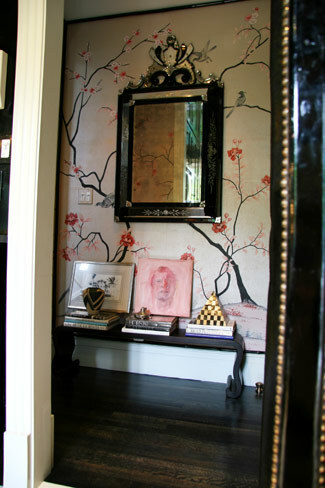 Chinoiserie designs are so timeless to me and depending on what you pair them with they can look so fresh and modern. They’re rather versatile and truly classic. Here is another Miles Redd, this rich chocolate is exquisite!!! To quote Martyn Lawrence Bullard, I have to say that de Gournay’s line of hand-painted wallpapers is absolutely “delicious”. Maria Christofilis, founder and creative director of the Anthousa collection, loved her custom-made peony and cherry blossom silk panels by de Gournay that they inspired her new home fragrance, De Gournay Jardinieres and Citrus Trees, and the beautiful fabric swatch became the packaging. Hope you enjoyed today’s adventure, its always nice to see you here again, stay tuned …. 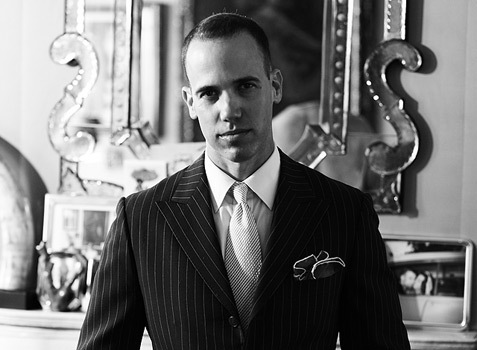 One of my favorite designers, Miles Redd was raised in Atlanta, moved to NYC to study film, but was more interested in design. 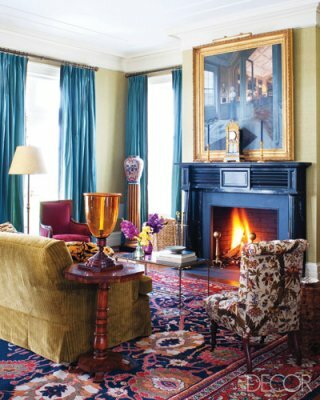 He worked with another of my favorites Bunny Williams, this month he is featured in Veranda Magazine, This house in Hudson NY, near to Albany NY where I’m located. I would love to see this home!!! Veranda looks at the Master bath, this is the dining area, in the home. 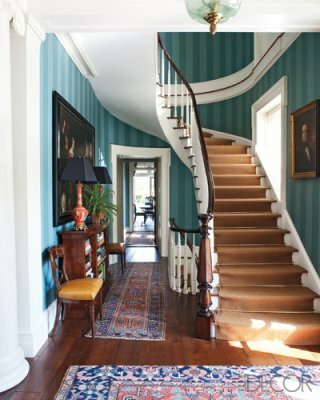 also featured in 2010 Veranda, he favors chinoiserie wallpaper and the color turquoise! Here is the House of Turquoise! 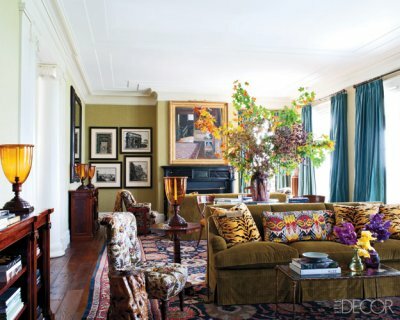 Redd is currently the creative director of Oscar de la Renta Home and continues to wow the design world with his luxurious, one of a kind interiors! This man is a color genius!! This home opulence at its finest. Just inspire me!!!!! Loving this profession, nothing like these talented people to help give you vision and clarity about how to create beauty. One more for the road, de Gourney custom wallpaper, fabulous………..